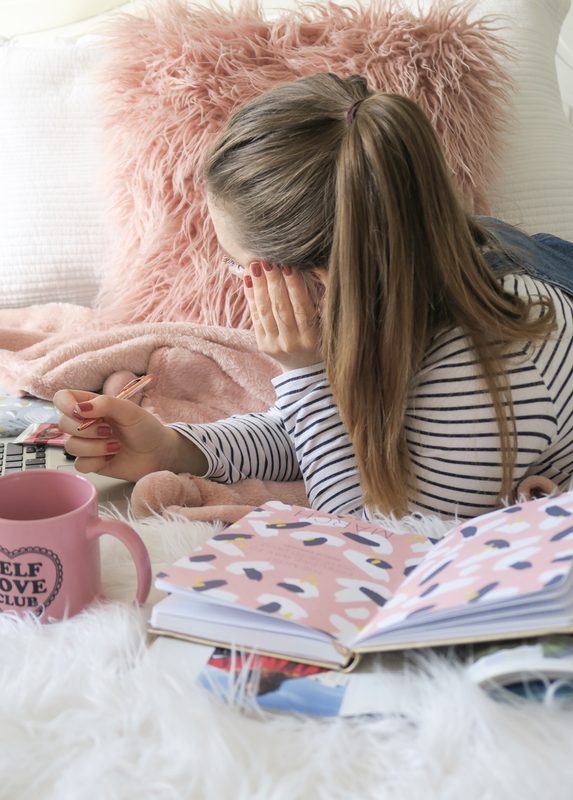 Since I work from home on my blog and business, I spend a lot of time at my desk and it’s important that I have some beauty essentials close by throughout the working day. These are the kind of beauty essentials I reach for every day or when I’m in need of them depending on what’s going on at that moment in time. Because I suffer from dry skin on my hands and wrists, I find it most beneficial to have a hand cream by my side at all times. Having a hand cream close to me helps to remind me to take care of my hands and to try to main them in good condition. One of my favourite hand creams for when I’m working at my desk is The Body Shop hand cream. These hand creams are perfect for days on the computer because they’re non-greasy and absorb onto the skin quickly. They’re also great at keeping my hands feeling smooth and soft. Another part of my skin that tends to get on the dry side is my lips. This particularly happens if I’m a little run down, worn a matte lipstick the day before or during the colder months. Having a nourishing lip balm at my desk when I’m working from home helps to prevent dry and sore lips from happening. I like to top up my balm throughout the day to keep them well nourished. My fingernails can also get on the dry side and add to the dryness on my hands. I can also suffer from hangnails from time to time so it’s important that I apply a nail oil more often than not. I love the Sally Hansen Vitamin E Nail and Cuticle Oil. It works by providing moisturise and strength back into my nails and cuticles. Whilst a nail oil isn’t always the best thing to apply when you’re typing away or writing, so I stick to applying it during breaks. But I like to have my nail oil close by as a reminder that I need to keep up with caring for my nails to prevent breakages. Because of this, I ensure I’ve got a nail file close by too. Nail files are essential for anyone because we’re all prone to broken nails every once in a while, especially if you have long nails like me. I hate that feeling of sharp dry nails that can cause you to catch your nail on everything you touch. Even though I work from home at my desk, I still can feel quite hot and bothered. Since we had a heatwave this summer, I spent more of the time with my hair up and out of my face. I still do prefer to work with my hair up because if not I feel like it’s too much of a distraction or gets in the way. I always have my trusty Tangle Teezer on standby to brush away any knots before I put my hair up. I also like to have some hair elastics and hairpins on standby to assist with my hair styling. They’re always handy to have around the place until they end up getting lost around the carpet and you accidentally hoover them up. Sorry, Mum. And finally, I love to have a perfume or fragrance on my desk. Not only do I like to spritz myself throughout the day so I smell nice, but I also love to give the room a little spray as well. There’s just something about a nice smelling room that really helps to freshen up the place. What are your beauty desk essentials? I always have to have a hand cream at my desk, hand bag and basically everywhere I go – There’s nothing more uncomfortable than dry hands. Now the scented spray or perfume really is the one. I’ve been consciously trying to use my perfumes more often this year and I’m absoluting loving the habit I have got into because because scents just seem to uplift and motivate me, as they seem to do for you too! Going to file my nails right away (this is something I could definitely practice a little more often)! Having these essentials on display must be a good reminder for you to take breaks, too, which is always a good thing for us busy bloggers. Seeing your post has reminded me to get a glass nail file, I’ve heard that they’re so much kinder to the nails. The Body Shop have some of the best hand creams. I havent tried that scent though. I love the coconut and shea butter ones. I looove body shop hand creams, they smell so good and are really nourishing! I always have a hand cream on my bedside table because I get such dry skin in the winter time! Loved this post Lauren!